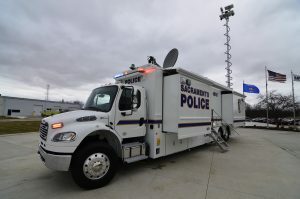 When deploying your mobile command center, straightforward access and control of your vehicle’s integrated technology is key. LDV’s vehicle automation system, Intel-I-Touch™, makes these different systems and operations highly accessible and easy to execute. One of the benefits of Intel-I-Touch is its ability to control numerous systems and features with the touch of a button. Control of systems such as flat-floor slide-out rooms, awnings, satellites, masts, and more can be coordinated through this touch screen automation system. 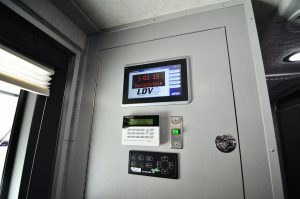 Other operations such as automatic power distribution, HVAC and temperature controls, and advanced lighting features are accomplished through the same system as well. Integrated safety interlocks and user alerts help ensure safe operation of the vehicle and equipment. With Intel-I-Touch, the vital functions of your vehicle are easily controlled with a few taps of your fingertips and require minimal user training. Another benefit of the Intel-I-Touch system is its ability to automate standard operating procedures while reducing complication and their completion times. LDV’s system allows users to automate startup, shutdown, and other customized processes. 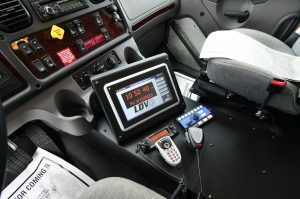 This vehicle automation system can reduce completion times up to 70 percent, allowing you to quickly commence operations at a deployment. With customized programs and automation, those utilizing Intel-I-Touch can begin these procedures without having to input any other information, ensuring your vehicle is operated correctly as well. When discussing the layout of your mobile command center, carefully consider the accessibility of Intel-I-Touch. Touch screens can be integrated into the cab of your vehicle which allows you to begin startup procedures once you arrive on the scene. Intel-I-Touch can also be monitored and controlled through an iPad, making it even more accessible and convenient to operate. Incorporating multiple Intel-I-Touch screens throughout your mobile command center ensures ease of accessibility. 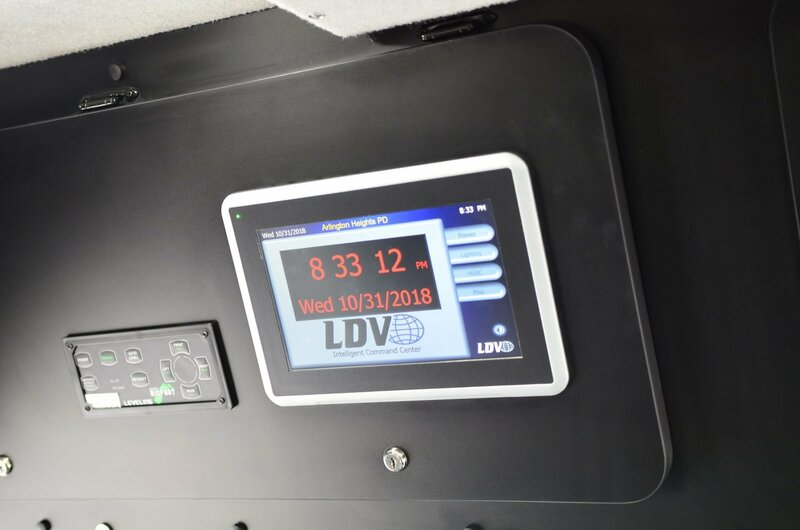 At LDV, we understand the importance of accessing and controlling the systems and operations of your mobile command center. Our exclusive Intel-I-Touch system makes your vehicle’s features readily available, allowing you more time to focus on the situation at hand.